Commissioned and handed over to the Ipswich City Council in June 2018, the Briggs Road Criterium Cycling Track is truly an asset for the cycling community. The 1.6 klm track offers 3 course lengths along with a walking/running track. 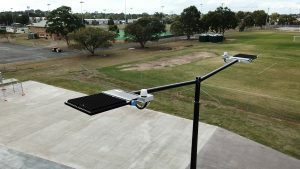 With the addition of Smartscape – Connected Lighting Systems 3 G controlled floodlights and Philips 3G controlled cloud-based platform the track is available for use from 4am through to 10pm at night. Ipswich City Council benefit from extensive reporting, energy management and maintenance updates making this a first of it’s kind installation in Australia. Please enjoy the VIDEO by clicking here.